Ask any Singaporean restaurateur or hotelier about the challenges of running a food and beverage (F&B) business and they will all lament on a major concern—limited manpower. The demand for manpower is not letting up. There are approximately 205,000 workers in the F&B industry (including hawker centers) or slightly 5 percent of the nation’s workforce. It is not feasible to keep on increasing manpower needs, especially that Singaporeans often shun employment in F&B in favor of other opportunities. It is a major pain point for the industry but it is a golden opportunity for startups that are focused on automation. I spoke with three automation technology startups that have created made-in-Singapore solutions to reduce the need for manpower in F&B. “Lack of skilled and motivated staff impacts customer service levels and, hence, customers’ overall dining experience. Every touch point where a customer needs to interact with the staff becomes a pain point, [whether it is waiting] for the staff to take their orders, the staff is not able to recommend the right dishes or right combinations due to lack of knowledge and training, or the customers have to wait for getting their bill,” Anshul Gupta, co-founder of Tabsquare, explained. Tabsquare created the Smart Tab e-menu, an all-in-one ordering menu. While there are already many similar tablet ordering options available, Gupta highlighted his tech’s uniqueness: it is focused on replacing the need for a service staff. “[Smart Tab gives] recommendations based on customer preferences, suggesting smart food pairing/drink pairing combinations using intelligent data-driven algorithms, checking their bill and making a payment, redeeming promotions, collecting or redeeming loyalty points, giving feedback. Everything can be completed on the tablet itself,” Gupta shared. 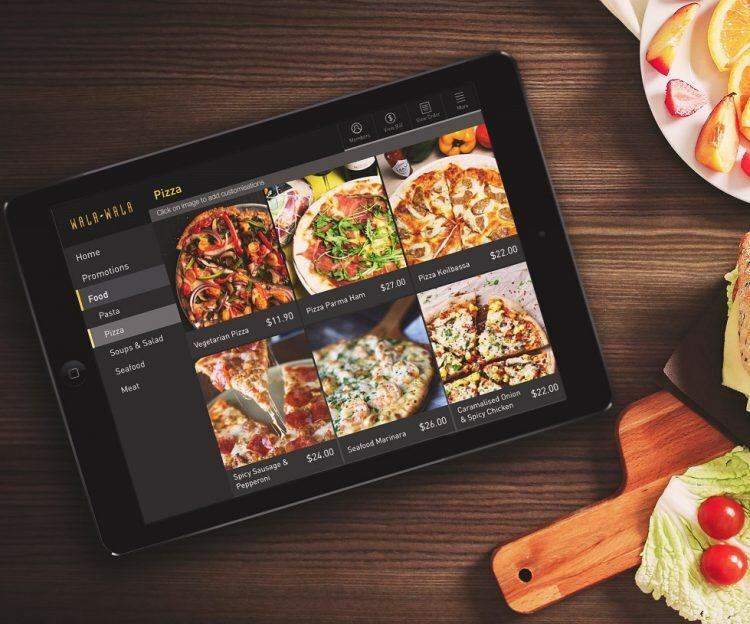 The e-menu heavily uses cloud-based technologies for easy management and maximum flexibility. “Restaurant owners can manage the entire solution at any time from anywhere in the world, and the changes get updated in real time at every table in the restaurant. Most importantly, the data analytics engine uses the latest tools like Firebase, Big Query to analyze large volumes of data to provide actionable data-driven insights […],” he added. Serving the F&B industry for over five years now and constantly receiving feedback from his customers, Mathan Muthupillai, CEO of Techmetics, had his team build the robot delivery waiter. The robot essentially does menial tasks so that service staffs can focus on their key roles. “The Techi series of robots are completely autonomous in nature, which allows the robot to make its own decision on how it gets to end destination and how it handles obstacles when it encounters them,” Muthupillai said. The robots can also communicate with lifts and doors. It took a year and a half to commercialize Techi, without any reliance on grants or investments to create it. And even though it has been built, the company continued innovating and improving it based on the feedback they receive from the industry. Techi is now used in some hotels to deliver room service. Lunch choices are limited for people who work in remote business parks. 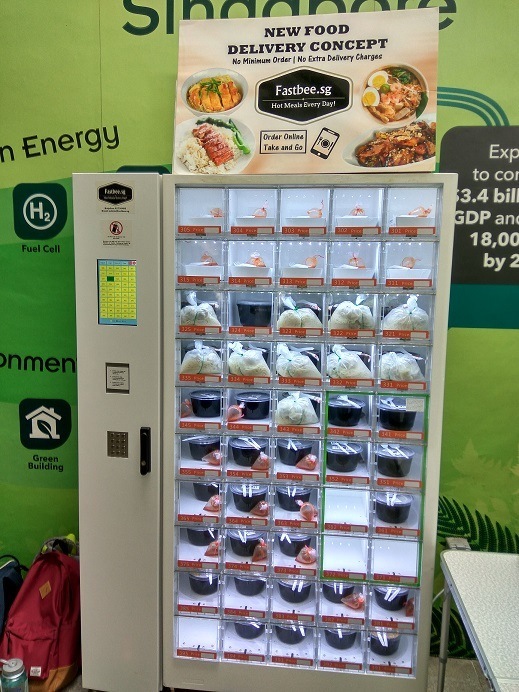 Kar Kiat Khoo, founder of Fastbee, found a solution to expand the options to a variety of 30 food choices weekly. He and his team installed a Smart Food Dispenser (SFD) and aggregated customers’ orders for one delivery person who delivers up to 50 packs to one location. Before creating the SFD, it took the team two months to refine the process, listening to customer feedback, manually assessing and processing customers’ orders, and pivoting the service model, menus, and customer engagement process. Even after building the SFD, the team had to continue refining the process. The ecommerce platform was also built to be highly scalable to easily onboard new hawkers and deploy SFDs. For further technology improvements, Khoo shared that given that the menu options are a large impact on daily sales, his company will be using algorithms to interpret customer and sales data to help design menus weekly. He credits a variety of organizations that have aided him to bring his product to market: Ntuitive, JTC, Spring, Ascendas, and the National Environment Agency. To many consumers like myself, we all have an impression that food delivery is a simple task because we never see the backend process. But as shown by the examples above, it takes many months of gathering feedback and refining processes to build an automated technology. Even once the technology is built, there are multiple refinements required to perfect the customer experience. But suffice to say, automation in the F&B industry is here to be a part of the scarcity of manpower in Singapore. Will AI service robots perhaps become the next invention to come? This is the third article of the Science and Technology Development Singapore series, where the author delves into the development of science and technology in the country.